Our Story About Hemp CBD Oil CBD Lab Results CBD Dosage Recommendations What is CBD? Farm to Soul, CBD Products. Want to know “what is CBD?” - otherwise referred to as “cannabidiol” - is a compound found in cannabis plants and has various medical benefits when used appropriately. CBD comes from hemp, which is a type of cannabis plant, and it is safe, legal and effective at reducing symptoms of various ailments and conditions. It can be helpful to have a full understanding of what CBD is to ensure you can make an informed decision as to whether or not it is right for you. By learning more about CBD, you can also assure you are receiving honest, high-quality CBD, rather than taking a risk on a less-effective form of CBD. CBD has helped many individuals feel better every day, and it can be used to relieve chronic pain, reduce anxiety and help with many other common mental and physical health complications. What are The Different Types of CBD? What Conditions Can CBD Help With? When Should I Consider Taking CBD? Is CBD Beneficial for Pets? Many are already beginning to feel better and finding relief by taking CBD, and perhaps it can help you as well. Take some time to read through this guide, learn more about CBD and make a determination as to whether or not it is appropriate for your mental or physical health needs. CBD is a cannabinoid - which is a compound that in cannabis plants. CBD in the medical community refers to CBD as cannabidiol, and many studies have been conducted to try and learn more about the medical benefits the compound can provide. Although more studies are still ongoing, many are currently taking CBD for medicinal purposes and attest to finding symptom relief while taking it. One of the biggest misconceptions of CBD is that it is a drug that can lead to one becoming "high" - although this is far from the truth. Since CBD comes from cannabis - or more regularly referred to as marijuana - it is understandable that many may have questions as to the effects of taking CBD. However, CBD is not psychoactive and does not lead to a mind-altering state in any manner. Instead, CBD is used solely for medicinal purposes, such as relieving chronic muscle and joint pain or reducing anxiety during stressful periods in life. There are many benefits to taking CBD, and anyone who suffers from chronic pain, anxiety, depression and many other ailments should consider taking CBD for symptom relief, making life more comfortable and the symptoms of their condition much more tolerable every day. There are many reasons to consider using CBD, and each person should assess their own health needs and determine whether or not CBD can help them. It is important to remember that CBD is not a cure for any condition, but it can help relieve symptoms, kept pain at a minimal level and just make daily life much more manageable. Whether you suffer from aching joints, crippling anxiety or are trying to stop smoking, CBD may be able to help. The following are some of the more common mental and physical ailments CBD may be able to help, although the conditions in which CBD is believed to help is not limited to these five complications. Perhaps the main reason those who use CBD choose to do so is to find comfort from chronic pain, particularly pain that exists in the joints, muscles and tendons. CBD is believed by many medical experts to have anti-inflammatory properties, which means it reduces swelling, soreness and ultimately pain, making it easier to do the things you love without having to worry about chronic pain. Studies have indicated that CBD can reduce anxiety in many individuals. Whether you are going through the loss of a loved one, started a new job that is very stressful or merely want to learn to relax more each day, CBD has seemingly helped reduce their stress and anxiety levels and perform and feel better in their daily life. There have recently been many studies to determine whether or not CBD reduces the dependency in other forms of drugs, and there is evidence to suggest that the compound is useful as a form of substances abuse treatment. Anyone who is looking to reduce their dependency on tobacco and other types of common drugs may find CBD helpful in their quest. Although it is essential to consult with your primary physician before using CBD as a form of seizure prevention, many who are at high risk of seizures - such as those who suffer from epilepsy - find CBD to be helpful at preventing seizures, and various studies suggest it does indeed help reduce the chance of a seizure. We highly recommend adding CBD to your daily regiment. As if the physical and mental benefits were not enough, CBD can even help you look better as well. Studies suggest CBD reduces sebum production, and the combination of lower sebum levels and the anti-inflammatory properties of CBD, the chance of acne and other skin complications is minimized. For those who are skeptical about the effectiveness of CBD, it can be helpful to have a better understanding as to how exactly the compound works. The simplest explanation - although the science behind it is a bit more tricky - is that the cannabinoids interact with receptors in the body, helping the body feel and function better. Unlike THC, which can cause a mind-altering state or feeling of being "high," the properties in CBD do not produce this psychoactive effect, and it is not a recreational drug used to get high - at least not a real effective one. However, CBD has physical and mental health benefits and should be used for health reasons. So how does one go about taking CBD? There are several different types of CBD to consider taking(see below), but the most popular form is in the way of CBD oil. Be sure to choose a CBD oil that contains an appropriately high level of cannabidiol, and be wary of a CBD oil that is strongly diluted with other non-medicinal properties. The effectiveness of your CBD is mostly dependent on the quality and active ingredients in the solution. CBD: Benefits, What it does, and How CBD Works. Guide by AngelsHemp.com. Another reason it is essential to understand more about CBD is to be able to determine which form of CBD is most appropriate for you to take. While the effects of CBD are similar and the compound is essentially the same in all different types, there are many different ways to take the compound, including through CBD oils, capsules, vapes, creams and even sprays. The method in which you choose to take CBD is entirely up to you, and it can be helpful to take the frequency in which you plan to take CBD, how vital the taste is and - most importantly - be sure to choose a reputable brand to ensure a high-quality product. The most common type of CBD is a CBD oil, which is very easy to take and ensures the CBD works very effectively. You can either add the CBD oil to your drink, place the recommended amount under your tongue and along your cheeks or in any other method you deem appropriate. For those who are relatively new to CBD, using CBD oils is a safe and secure way to get started. The most significant advantage of choosing tablets is they are incredibly easy to take as most have experience with capsules at some point in their life. However, it is much harder to control the dosage amount with CBD capsules, and it may not be the most cost-efficient way to add CBD to your life. Boxer Nate Diaz was recently seen vaping in a press conference after one of his fights, an act many reporters found unusual. When asked what he was vaping, he said it was CBD in order to recover. Therefore, CBD in the form of vape is trusted among those in what was likely a fair amount of pain following a fight. However, CBD vapes are not believed to be as effective as oil in most instances. CBD creams - or CBD topicals - are starting to become more popular. The most significant benefit to CBD creams is that they apply to the exact area that is most painful or having the most amount of issues. Therefore, they may be a good option for skin complications such as acne, but CBD oil is still far more useful for pain and anxiety relief. CBD sprays are the least proven method of CBD, and they are often highly diluted with other properties. The upside to choosing CBD sprays is you can carry it around quickly and use it whenever it is needed. However, it is not incredibly effective and getting the dosage of CBD right is very difficult with CBD sprays. By understanding the benefits of CBD - of which there are many - you can better determine if you should give CBD treatment a try. Many who are already taking CBD - including professional athletes, individuals with joint issues and people who suffer from anxiety - find the compound to help them feel both physically and mentally better. Perhaps the most notable benefit of CBD is its ability to reduce pain and soreness, especially pain and soreness that exists in the joints and muscles. No one should have to suffer from an excessive amount of aching pain every day, and CBD helps to minimize chronic pain in various areas of the body. Reducing inflammation can be vital in recovering quickly from injuries or illness, and CBD is believed to have anti-inflammatory properties. If you live a lifestyle that leads to constant inflammation - such as being physically active - than CBD is worth considering as a way to manage and reduce the inflammation. Helps with anxiety and depression? The benefits of CBD go far beyond physical relief, and it can also promote a calm, relaxing mood in those who suffer from anxiety and depression. Many inside the United States suffer from anxiety and depression each year, and CBD can be a great way to feel mentally better throughout the day. There have been studies conducted that suggest CBD can help reduce symptoms of cancer, such as nausea, vomiting and of course pain. Although it does not treat cancer itself, many with cancer take CBD to live a more comfortable life by reducing the symptoms caused by the disease. Helps with sleep complications and insomnia? Many medical experts believe CBD may lead to a better night of sleep. There is not much worse than feeling tired and worn down every day, and CBD may be able to help you sleep better and reduce the effect of sleep complications, allowing you to be more productive and feel better throughout the day. While CBD is used less as a topical solution, CBD can also help those who are battling skin complications, particularly acne. In general, CBD is helpful to the skin, and it can be a good idea to use CBD for skincare support, allowing you to look and feel better and have more confidence. All too many confuse CBD with its close relative THC, although there are some significant differences to be aware of. Of course, the considerable similarity between the two is that they both come from cannabis plants and are both considered cannabinoids. The most significant difference between the two is that CBD is not psychoactive, whereas THC is psychoactive and can lead to the altering of one's mental state - or in other words it can lead to the user getting high. While THC may also have some medicinal properties such as being anti-inflammatory, it has what many consider adverse side effects as well. The beauty of CBD is that it provides all of the medicinal properties one could desire from a cannabinoid, but it does not cause you to become high. Subsequently, it offers excellent therapeutic benefit to anyone who chooses to take it, without having any adverse, undesired side effects. To sum up the difference between CBD and THC, the cannabinoid THC is more of a recreational drug, although it may also have some medicinal properties, and CBD is the most appropriate - and legal - type of cannabinoid for those searching for pain or anxiety relief. One of the biggest fears people have about CBD is that it is a recreational drug that has psychoactive properties and leads to the person becoming high, which is the case with THC. Of course, the question is legitimate for those who are less familiar with CBD, but the fear is nothing to worry about. CBD is not a psychoactive compound, and it does not lead to the person getting high or altering their mental state in any significant manner. While it is true that CBD can help people with anxiety or depression relax, it is not the result of a mind-altering effect. In other words, CBD is by nature safe to use and is medicinal rather than recreational. The reason for the common misconception that CBD can get you high is because it comes from cannabis plants, which are famously known as marijuana. Fear not, however, as CBD will not lead to you becoming high, so if you are considering taking it for any other reason than physical or mental relief, then you have chosen the wrong cannabinoid compound. CBD purchased through the proper channels and a reputable seller is legal and completely safe, but it, unfortunately, is not as simple as all CBD is legal. Of course, purchasing CBD oil through providers such as Angel's Hemp is legal and doing so does not carry any real health risks, but it is essential to avoid less legitimate methods of purchase. The source of the CBD can determine whether CBD is legal. In almost every state, CBD that comes from hemp is legal and safe to use by whoever decides to do so. CBD that does not come from hemp is not legal in most state, and it may not be safe to take. 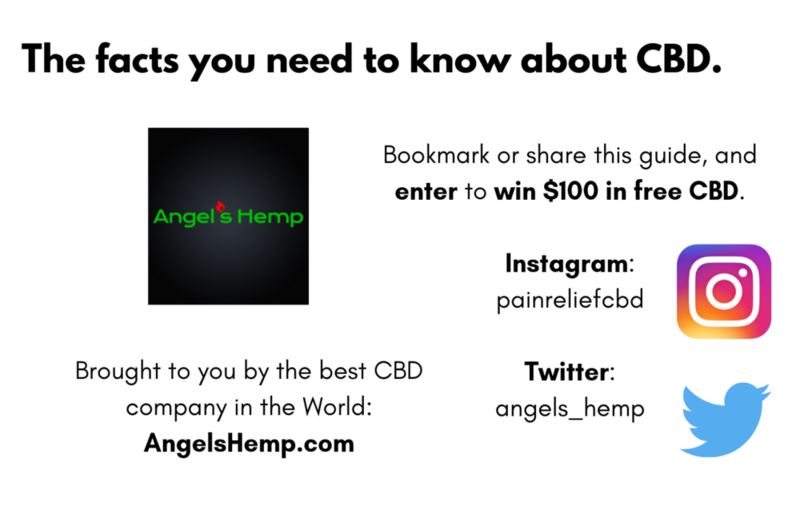 CBD is rapidly becoming more legal in more states and at the federal level, and there are currently reputable providers to purchase CBD oil from - such as Angel's Hemp. To ensure your CBD is legal and safe for you to use daily, try our Angel's Hemp CBD oil, which is safe, incredibly useful and easy to use. Whether you have sore joints, suffer from anxiety or merely want to feel better in general, CBD oil can help you accomplish your physical and mental health goals. It can be helpful to understand who CBD can benefit to determine if it meets your physical or mental health needs. There are many uses for CBD, and anyone who suffers from chronic pain or a constant negative mental state of any kind may be able to benefit from the compound. CBD also works for various other diseases, conditions and ailments as well. The conditions that CBD can help with include but are not limited to chronic joint or muscle pain, anxiety, depression, epilepsy, various skin complications and can even relieve symptoms of Alzheimer's disease as well. To gain a complete understanding of the conditions CBD can help with, let's go into further depth on each of the mentioned medical complications. As mentioned previously, chronic pain is perhaps the number one reasons individuals choose to utilize CBD. Whether you have sore knees from physical activity, a sore back from a previous injury or do not feel as well as you would like to because of inflammation, CBD can help relieve the pain and help you do the things you love to do without pain. Anxiety and depression are ever-increasing issues in the United States, and no one should have to live a life where they are not happy. While a medical professional should treat more severe cases of anxiety and depression, CBD can help relieve minor cases of anxiety and depression. Let’s preface this by saying CBD cannot cure epilepsy and is likely not the only way to manage the symptoms, but some with epilepsy - along with some medical professionals - believe CBD can help prevent future seizures from occurring, which are much more common among those with epilepsy. CBD helps reduce inflammation and keep sebum counts at the lowest possible level, which ultimately helps reduce the chance of acne and promote better skin in general. When used appropriately, achieving better skin through the use of CBD is possible. Some studies suggest that CBD can help people with Alzheimer's disease live a better life. While more tests are still ongoing, there are currently many Alzheimer's patients who attest to having found symptom relief through taking CBD. If you suffer from chronic pain, mental unrest in any manner or a condition such as epilepsy or Alzheimer's disease, then you should likely at least consider the benefits CBD can bring to you. While it may not be a primary form of treatment for more severe health complications, many find CBD to be incredibly helpful in making life much easier every day. Life can be incredibly tricky when chronic pain or mental complications exist, and it leads some to alter the way they carry themselves daily, making them less likely to have fun in social situations or function better while at work. Therefore, anyone who is looking to live a more comfortable lifestyle overall can likely benefit from CBD. Of course, everyone would like to live more comfortably, so perhaps a more appropriate consideration to make is who CBD is not for. It is important to remember that CBD is not a recreational drug that produces a feeling of being high, so it is not for anyone seeking a legal way to do so. In other words, CBD is perfect for anyone looking to minimize their pain or anxiety daily, although the benefits of CBD go far beyond pain and anxiety relief. Can CBD Help Pets and Animals? Whether your pet recently was injured, is getting older and has hip and joint complications or has digestive issues or lack of appetite, CBD can help them throughout each day. No one wants to see their pet feel uncomfortable and unfortunately, an everyday pain reliever for pets is either incredibly difficult to find, not safe or too expensive. CBD oil gives pet owners the ability to ensure their pet is always lively and feeling good. Therefore, make sure to give your pet what it needs to recover quickly from injury and keep inflammation away through CBD oil. CBD is becoming more popular, and the full range of benefits CBD oil can provide is becoming more well-known. The fact of the matter is many inside the United States and beyond suffer from physical and mental discomfort each and everyday, and it can be difficult to find legitimate forms of everyday symptom relief that are available without a prescription. CBD gives people a chance to be at their best every day, improving the way they look, feel and function. CBD is also completely safe to take and is even recommended by many medical professionals. With CBD, you never have to worry about getting high, the symptoms getting worse or any adverse side effects many other medications may cause. If you are considering CBD oil as a way to feel better throughout the day, then consider our Angel's Hemp CBD oil. We also offer CBD oil for pets, so be sure to check out our supply today. We promise a reliable, safe and effective CBD oil that you can trust for everyday pain and anxiety relief. If you have any questions or concerns about CBD oil and how it can help you, feel free to contact us today and allow us to help you as you learn more CBD. We are a CBD Company powered by the most passionate hemp + CBD oil farmers in the world. Website built by Vail Networks, the leader in web development and SEO services for businesses.